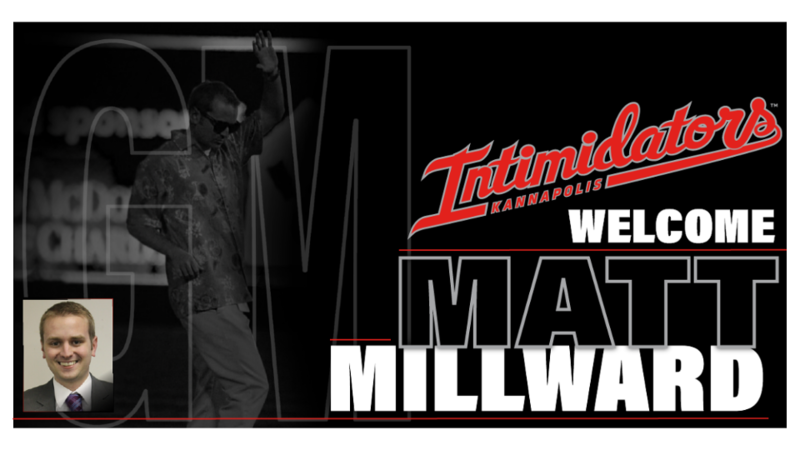 KANNAPOLIS, NC - Kannapolis Baseball today announced the hiring of Matt Millward as the Intimidator's general manager. This news is one of a series of steps being taken by Temerity Baseball, the team's new owners, to upgrade and improve team operations in anticipation of the move into the new Kannapolis Sports and Entertainment Venue for the 2020 season. This includes the recent launch of the "Branded New by You" campaign to create a new team name and logo in advance of the 2020 season. Millward, 31, brings more than a decade of experience with two of the most successful franchises in Minor League Baseball to his new post in Kannapolis. A graduate of Penn State University, the Bethlehem, Penn., native finished his degree in business management while working in ticket sales for the Lehigh Valley IronPigs. During that period the IronPigs (Phillies' Triple-A affiliate) opened a new ballpark. Millward moved to the Carolinas in 2010 for an opportunity with the Charlotte Knights. When Millward joined the Knights, the team still called Fort Mill, S.C., home. He played a pivotal role in strategic planning for their successful move to Uptown in 2014 and ultimately rose through the ranks to become Charlotte's Vice President of Ticket Sales and Operations. His efforts contributed to the Knights' status as the MiLB leader in attendance four of the last five seasons. "After a nationwide search, we found the ideal professional to help lead our team into a new era of Kannapolis baseball. Matt's energy and passion for a first-class fan experience will propel the team to new heights," remarked Temerity Baseball President & CEO Andy Sandler. Millward will be charged with guiding the team's operation on a day-to-day basis in 2019 and making the transition into the downtown Kannapolis Sports and Entertainment Venue (SEV) a smooth and successful one. "Through a combination of imagination, innovation, and superior customer service, I look forward to embracing the Kannapolis community and transforming the team into a model franchise within the landscape of Minor League Baseball" said Millward. Season tickets for the 2019 season, including Founders Club memberships ensuring priority season seat selection at the team's new home in 2020, are on sale now at IntimidatorsBaseball.com. Single game tickets are on sale now. Opening Day for the team's final season at the Intimidators Stadium supported by Atrium Health is scheduled for Thursday, April 4, 2019 at 7:00 p.m. against the Rome Braves.